At SP Jain School of Global Management, we understand and value the importance of corporate relations. This means, we are continuously working closely with our corporate partners to be abreast of the current market trends and industry know-hows. This knowledge will then be shared with our students so that they can relate actual corporate happenings to what they learn in the classroom. For companies, you will get to meet our students from Master of Global Business (MGB) and Global Master of administration (GMBA). They are individuals who have been or will be exposed to various global settings. Due to the nature of the program they are prepared to become quick learners and highly adaptable – traits of a potential global leader. Some of our past recruiters are Accenture Pte Ltd, ANZ Banking Group Ltd., Barclays, BASF. Coca-Cola, Credit Agricole, Danone, Dell Global B.V, Deloitte, Dyson, Ernst & Young, HCL, IBM, Johnson & Johnson, Kimberly Clark, Levis, Microsoft Operations Pte Ltd, PriceWaterhouse Coopers, Procter & Gamble Asia Pte Ltd, Sennheiser, Standard Chartered Bank, UOB Kay Hian and many more. Our Guest Lectures, also known as “Visiting Wisdom” is part of the MBA curriculum where we invite distinguished speakers, industry heads, senior level executives for a short one or one and a half hour seminar on various topics to our MBA students. The sessions are usually held in the evening on weekdays at around 6 pm. The session typically includes a one hour to one half hour presentation inclusive of a short 15-20 minutes Q&A. The choice of topic is diverse. Our corporate relations team will work with you to share topics that could be beneficial for both your company and also our students. MGB (Master of Global Business) is a 16 months full time residential program where they get to study in three different megacities - Singapore, Sydney & Dubai. They not only enhance their academic knowledge, they also get to immerse themselves in various cultural and business settings. The MGB participants can be recruited for four (4) months full time Internship. There are currently three intakes in the campus. The student work passes will be provided by the school thus employers do not have to worry about work permits during their internship period. GMBA (Global Master of Business Administration) is a one year full time residential program where students get to study in three different megacities - Singapore, Sydney & Dubai. In short, our students not only gain knowledge, they also experience Global Immersion. Our Global MBA students have an average of 3 -7 years of prior work experience. They specialize in Global Finance, Contemporary Marketing Management, Global Logistics and Supply Chain Management & Information Technology Management. 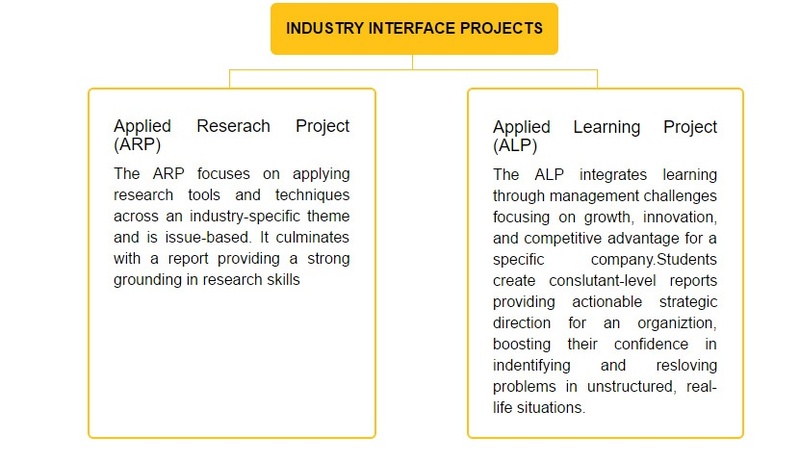 The Industry Interface Projects (IIP) at SP Jain is a project based initiative that aims to help students gain exposure to the real corporate environment. The idea is to enhance the industry-worthiness and deployment-readiness of our students. While our students gain substantial regional exposure, your company will receive a consultant’s report in the form of strategic recommendations at the end of the project. It will be up to you to adopt these models suggested by our students. We have worked with companies like Cisco, Dell and Hewlett-Packard to name a few. The initiative is structured in such a manner that the students first gain knowledge, functional understanding, and exposure to the industry environment. Later they integrate and apply the knowledge as they grapple with a problem given by your company. This fosters a natural progression from a structured decision-making (required at the operational levels) to commanding unstructured situations (required of senior management). The project will act as an effective interface for industry to interact with our students. While our students work closely with you on the project, the progress will also be closely monitored by our academic mentors. At the end of the day, you will receive a report from our students, suggesting strategic recommendations for the business challenge issued by you. In other words your projects contextualize learning by taking our students from theory to practice. 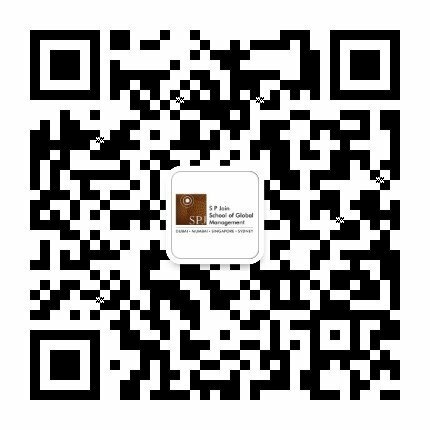 Feel free to contact us to learn more about our Industry Interface Project or submit a project today.